This song is played in the keys of C and F, twice each. Up a - bove the world so high, like a dia - mond in the sky. 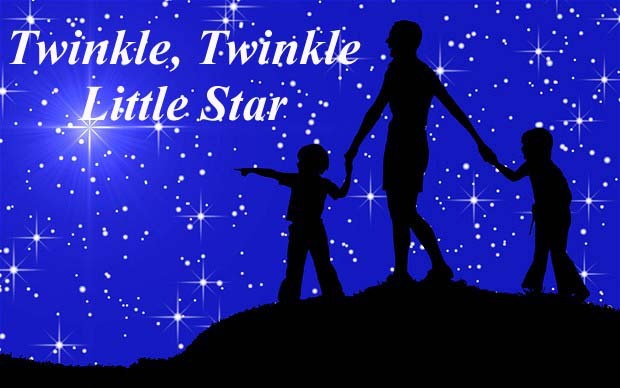 Twin - kle, twin - kle lit - tle star; how I won - der what you are.